Madagascar, precisely the “Republic of Madagascar” is a large Island nation on the Eastern Coast of Africa, Indian Ocean. The country is known for typical African landscape, abundant wildlife, forests, national parks, and beaches. Most of the wildlife (species) of the island are unique and are not found elsewhere in the world. Human activity on the island dates back to approx. 2000BC but archeologists believe that permanent settlers on the island arrived between 350BC and 550 AD. Upon their arrival, the people cleared huge masses of forests for the cultivation of crops. Wildlife on the island was also threatened and many species may have become extinct. As time passes, due to its location, it was constantly visited by traders from around the world and especially from the Arab. 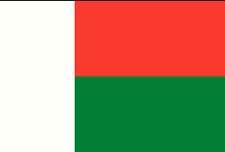 The “Kingdom of Madagascar” emerged in the 18th century and continued rule Madagascar until the French invaded and made it a French colony. 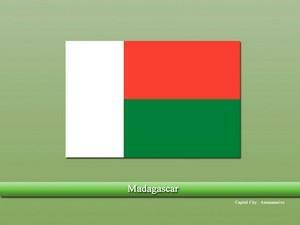 The French continued to maintain their hold on the island till 1958 when Madagascar declared its independence. The biodiversity, terrain, and geography of the country are highly diverse. As the country remained isolated from the rest of the world for millions of years, the animal and plant species of Madagascar are found nowhere else. But as the human activities and population are evolving on the island, animal species are in great danger and many of them have already gone extinct. Services is the largest economic sector of Madagascar followed by strong agricultural base and industries. Due to fertile soil and abundant resources, agricultural products of the country e.g. coffee, vanilla, sugar, cotton, etc. are regarded as one of the best around the world. Protestantism is the largest religion of the country followed by Roman Catholicism while in terms of language, Malayo-Polynesian is the most widely spoken language of the country. Is vastu applicable in USA? Vastu remedies for east facing house?